BASKETBALL SPOTLIGHT NEWS: Basketball Spotlight Tip Off Classic 8th Grade Blue Division Championship Recap: Riverside Hawks Win Thriller! 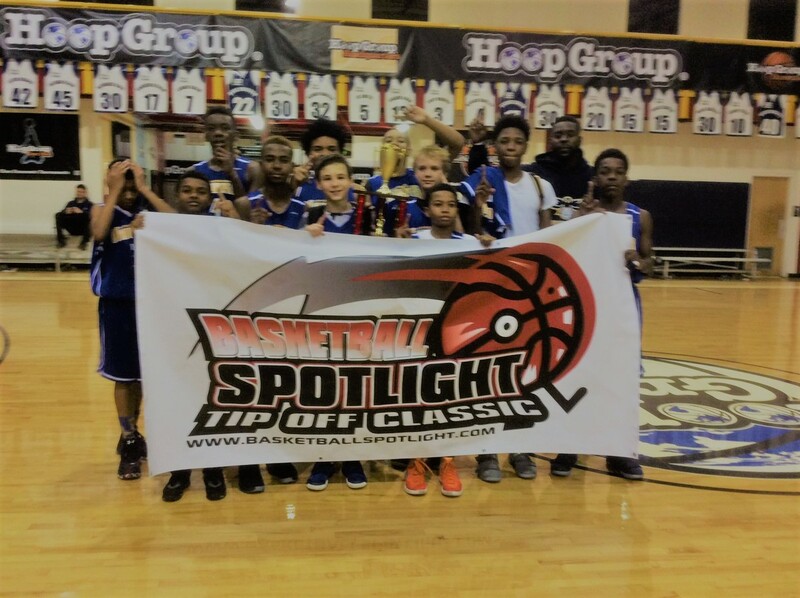 Basketball Spotlight Tip Off Classic 8th Grade Blue Division Championship Recap: Riverside Hawks Win Thriller! In an overtime thriller Riverside Hawks edged Team Final (Orange) 44-42 to win the Basketball Spotlight Tip Off Classic 8th Grade Blue Division Championship. We would like to congratulate both teams for reaching the finals. Riverside Hawks Coach Mike Carothers kept his Tip Off Classic experience short and to the point. “It wasn’t given, we definitely earned it” said Carothers. Stay tuned as we bring you more recaps, videos and coverage of this exclusive event.